Today, Nessa Warin is in the hotseat! She’s graciously answered a few quesitons for me, so make her feel welcome and be sure to leave some comments for her! 1. Tell us about your MC. What does he like or dislike? What are his good points or his flaws? Jasper is a very solitary person. He’s resigned himself to mostly being alone, and so when Tobias shows up, the connection he feels really throws him for a loop. He’s quiet and doesn’t really fit in with the other people in Brightam’s Ford. He’s the town outsider, who moved there from the coast, rather than being born there, and then instead of immersing himself in the small town, he has a ranch on the outskirts and rarely ever come in. Because he’s from the big city on the coast instead of the small town on the center of the continent, Jasper isn’t as easily thrown by unusual things. He’s also used to the city mentality of keeping to himself, though, so he comes across as anti-social in Brightam’s Ford and the other small towns he visits. He’s also very single minded and tends to react rather than think when it comes to people and things he’s passionate about. This is good in the right circumstances, but it gets him in trouble sometimes too. 2. What is one of your pet peeves? The one that’s annoying me most right now is people not using the word decimate correctly. I know that usage has evolved, but it drives me nuts to hear someone say “they decimated X” when they do not mean that 1/10 of X was destroyed. The meaning is in the word! I think the worst part about this one is that it’s usually used in books/movies/television shows that I otherwise adore and think are smart and well written. And then I see/hear that word used incorrectly and it makes me cringe. For whatever reason, I’ve been noticing it a lot lately. 3. What type of book would you love to write someday? Seriously, though, I’d like to write a book that people talk about. My passion is world building, so if I wrote something where the comments were about how amazing the world building is, I’d be over the moon. As far a genre type stuff I’d love to write, I have grandiose dreams of a space opera and of something with sidhe. I really want to write a YA book or two. I want to co-write something. I want to write an epistolary novel and come up with an original take on shifters and… I just really want to write a lot, okay? 4. What makes your MC angry or upset? Being manipulated. Jasper very strongly believes that everyone should just be able to live their own life. He doesn’t like the gossips in town prying into what he does, things like that. There’s also something big that happens in the book (can’t tell you what, sorry!) that really plays into that, and it threatens his relationship with Tobias. He also gets upset when innocent people or animals get hurt, especially people he cares about. This actually gets interesting in Storm Season because the thing that threatens to drive a wedge between Jasper and Tobias also is very likely to get Tobias hurt when other people find out about it. It creates a dilemma for Jasper, because he wants nothing more than to get away from Tobias because he feels like he’s being manipulated, but he also can’t just leave Tobias to be hurt. He cares about Tobias, whether he wants to or not. 5. How important are character names, to you, and how do you go about naming them? What about titles? Oh, man. I think they’re really important. And I absolutely hate coming up with them. I’m the worst at naming characters and the only thing I think I’m worse at is coming up with titles. I think that’s probably because I think they’re so important. As for how I name characters… I use baby name lists for characters in contemporary books. And name generators for more exotic names for my Science Fiction/Fantasy stories. Though, with some of the recent popular names, sometimes my SF/F characters get their names from baby name lists too! Occasionally, the characters will tell me their name or I’ll hear something that just feels right, and I go with it. But if I’m searching for a name, I look by meaning. In Storm Season, Jasper and Tobias both told me their names, and while the meanings do fit the characters to some extent, they don’t define the characters. Jasper means bringer of treasure/treasurer/semi-precious stone, and that does sort of define the way Tobias sees him. Tobias means gift from god, and that plays into some of Tobias’s abilities. To contrast, in Stamp of Fate, Tadd and Declan are also the Greek gods Ares and Hermes, so the meanings were very important, as was the origin. I spent hours on baby name sites trying to find the perfect name for every character, since almost all of them are Greek gods or Heroes. All the names I picked have Greek origin, and it was that definition I used when there were multiple ones. Tadd (Ares) means courageous. Declan (Hermes) means servant or messenger. As for how I find titles… I usually ask friends for suggestions. Sometimes it comes to me, but usually it’s a result of asking people on Twitter (my next book series, All Corked Up, came from suggestions on Twitter), or chatting with friends. 6. What is the most satisfying element for you in writing gay relationships, and why? If I take writing to mean the whole process with writing, editing, publishing, promoting, etc. it’s the relationships I’ve formed and the chance to see how the m/m stories we write can genuinely affect people’s lives. The people I’ve met and become friends with through writing gay romance have truly changed my life to the extent that I’ll have a new job soon doing other things in the industry. I love the moments at conventions and Pride Festivals where people come up and are excited because there are books about people like them. As far as the actual writing goes, I like that I can create fictional worlds where things are better than they are in the real world. I read to escape, and I write for the same reason, so I try to create worlds where other people can do the same. Part of that is writing a world where everyone gets a happily ever after, even if it might not be able to happen in real life. 7. Where does your inspiration come from for your books? All over the place, honestly. I’ve had stories start from dreams, from conversations with friends, from observing people, & from my interests. It really is just a matter of finding the right plot bunny to bite at the right time. Sauntering Vaguely Downward started as a suggestion from a friend who had won the bid for a 5,000 word story in a charity auction. The Stars are Brightly Shining came from a discussion about Christmas tree farms and space. Stamp of Fate was from a discussion with a friend and a plot bunny posted on a LiveJournal community. To Dream, Perchance to Live came from a dream I had of the opening scene. Storm Season came from a dream of Tobias huddling in a cave from the storms and somehow I knew he couldn’t talk. My next book (which will be a series), All Corked Up: Syrah, came from my love of wine and my desire to write about it. 8. What do you consider your greatest accomplishment as a writer? Oh, wow. Um. For a technical challenge, I’d say writing Stamp of Fate. It’s not my usual genre and I really had to push myself to get through it. The story isn’t perfect, but I’m proud of what it is and that I stepped outside my comfort zone. 9. How do the people you know in real life affect your characters? Are they based on real people? Do they start out as someone and morph from there? I’m thrilled I was able to get it back. The people I know in real life inspire my characters, as do characters in other media and celebrities. It’s not taking a person or character and putting him or her in my story, but it’s picking this trait here and that trait there. For example, I have a friend whose husband always goes overboard buying things for their kids at Christmas, and Royce, one of the main characters in All Corked Up: Syrah, does the same thing for his niece and nephew. When I started Storm Season, I had a celebrity crush on Viggo Mortensen, so Jasper has that same sort of quiet eccentricity about him. I’m currently obsessed with Hawkeye in The Avengers so one of the characters that is introduced in All Corked Up: Syrah and will be a main character in a future All Corked Up book has archery as a hobby. up, but I don’t think I could do it with a person beyond a very brief cameo. I guess I’ll see, since I promised my friend she would be in the next book I write, but I strongly suspect there are too many variables that change as I write it for the character to have more than her name and a few broad strokes of her personality. 10. How do you feel about fanart and fanfiction? Do you see it as a compliment – to inspire someone to draw a scene or have someone love a character so much they want to take them further? Or do you view it some other way? I love fanart and fanfiction. I’m a horrible artist, but I read and write fanfic (currently for Marvel’s Avengers, previously for Lord of the Rings and Supernatural), and I love looking at fanart. I would be absolutely thrilled and flattered if anyone wanted to make fanart or write fanfiction for my books. I’d love to see the art. I’m not sure if I’d read the fanfiction or not (I’m aware of potential legal issues with regards to ideas, etc. and I’d prefer to avoid them), but either way, I’d be over the moon to know it was out there. I think fanart and fanfiction are very complimentary to the creator(s) of the original work. People get into a fandom for something because they’re passionate about it, and there is no bigger compliment than that. I also think it’s a great way for newer artists/writers to hone their techniques and for experienced artists/writers to remember how they love their craft. New artists & writers can focus on writing specific elements because the characters, setting, etc. exist. They don’t have to come up with an idea for a new drawing or build a whole new world. Experienced artists/writers can relax and do the things they enjoy without the downsides that come from doing something professionally. It’s a great reminder of how fun art/writing can be without the stress. There’s less work and more feedback. Fandom is one of the best things I’ve ever had the privilege to be a part of. It’s a wonderfully supportive community, full of fantastic people. Almost all of my friends came from fandom, though we’ve brought the relationships beyond the show/movie/book that brought us together. I know that fanart and fanfiction are hot topics at the moment, but I don’t see anything but good in it 99% of the time. In Brightam’s Ford, a storm is coming. Ranch owner Jasper Borland and the rest of the townspeople have been rushing to prepare for the months of destructive weather the wet season brings, but with their limited technology, survival can be a struggle in itself. When Jasper finds a lost, injured young man on his property, he has no choice but to take him in. At least he’s quiet. You can purchase Storm Season right here! Go on! You know you want to! Nessa L. Warin lives ina fantasy world that’s mostly inside her head, though her physical address is in southwestern Ohio. Her two cats kindly play along with her fantasies and graciously let her pay all the bills, but they do require her to provide pampering on a regular basis. Nessa enjoys exploring the wonders of this world through travel—something her cats strongly disapprove of as it cuts into their pampering time—and can find whimsy in the most mundane places. When the real world becomes too much, Nessa enjoys dressing in costume and going to Renaissance Festivals and fantasy conventions. A short trip to either does wonders for her state of mind, so she makes sure to attend at least one of each a year. These trips help Nessa add to her collection of faerie and dragon art, and she swears she will frame and hang all the prints she’s collected some time soon. When she’s not living in a fantasy world, Nessa enjoys tasting and learning about wine, particularly since it’s one of the few things she and the rest of her family agree on. She’s a regular at the wine tastings held by her local wine shop, and considers it a sin for her wine rack to have more empty spots than full ones. She’d prefer her wine rack to be filled with Pinot Noir, Malbec, and Syrah, but one of her favorite things about wine is the way it can always surprise her. More than once she’s been taken aback by which wine she likes best at a tasting, and she loves the way her wine rack illustrates the joys of trying new things. Follow Nessa on Twitter @nessalwarin and Facebook at NessaLWarin. She can also be reached at nessa.l.warin@gmail.com. Appearing on Tempe O’Riley’s blog today! I have posted a page with my schedule of appearances. You can see it here. I have a lot of great posts planned and lots of giveaways, so be sure to stop by each one for some great extras about the characters and a chance to win. One week left! I can’t wait! Can you? I have been interviewed by Cate Ashwood over on her blog today! 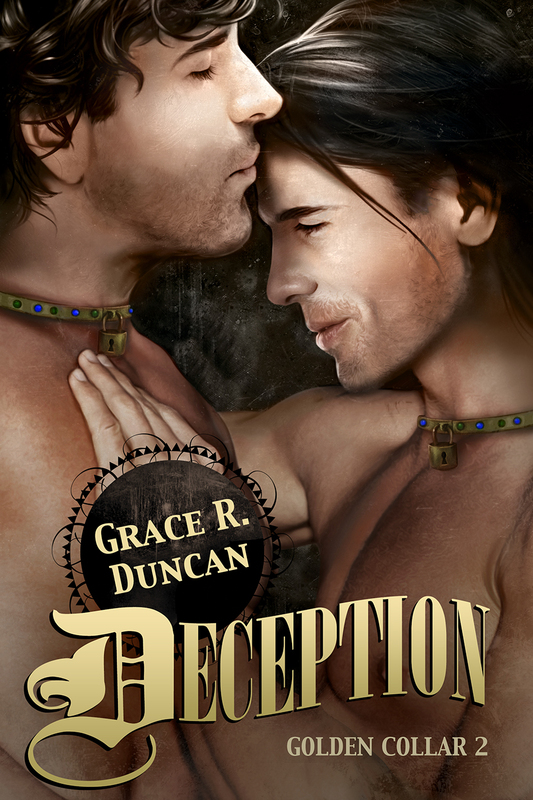 Lots of great questions, and a sneak peek at Deception! So go on over, give it a read and do be sure to leave a comment, I love hearing from folks! Six Sentence Sunday and a Release Date! Whee!! I now have the official release date for Choices! 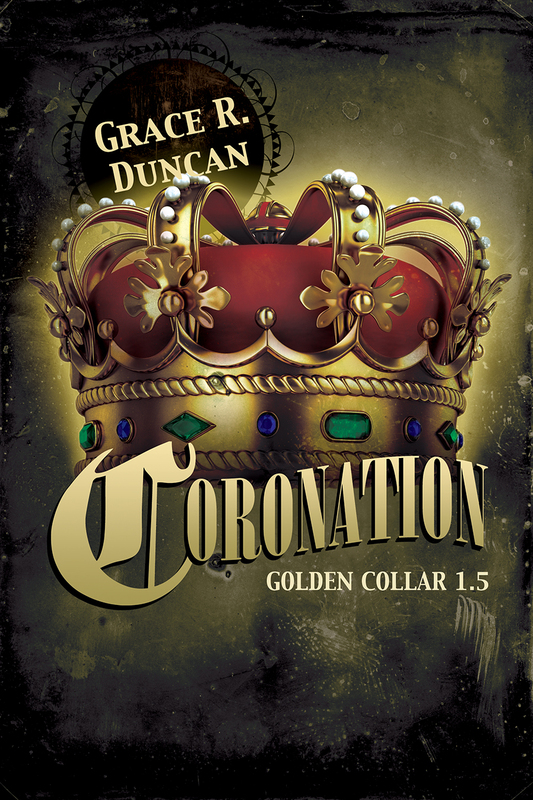 It will be availbe through the Dreamspinner Press website and Amazon.com on March 4th! I am so excited! In that vein, I made sure to put together something for Six Sentence Sunday. 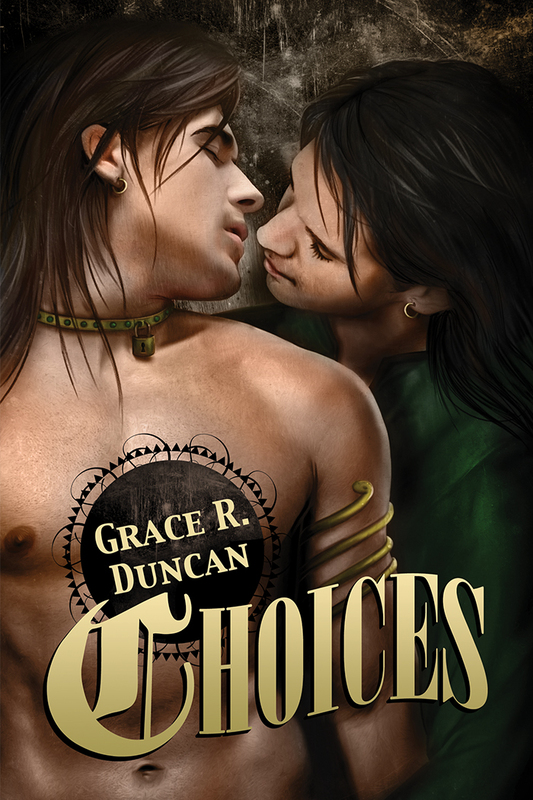 I’ve added another six from my Choices sequel, Deception. “Of course,” the captain replied. They paused and looked at each other for a long moment and Cyrus’s gaze moved from one to the other. Something deep, old and silent passed between the two men then Captain Darius nodded once and left. Cyrus puzzled over it for a second until Nadir moaned, then he pushed it off, turning his attention to his lover.